You now have the very best choice to help your clients achieve whiter teeth! means that you, as a spa owner can OWN the retail market - if you choose. whitening procedure offers, and do so in the comfort of your spa or salon. You not only can provide a better solution, you owe it to your clients to do so. solution, and your competition is a non factor! revenue is over $60,000 a year. 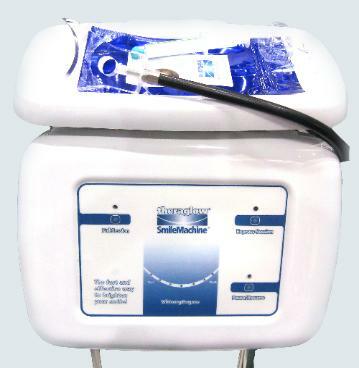 SmileMachine allows your spa to give your clients a better choice!